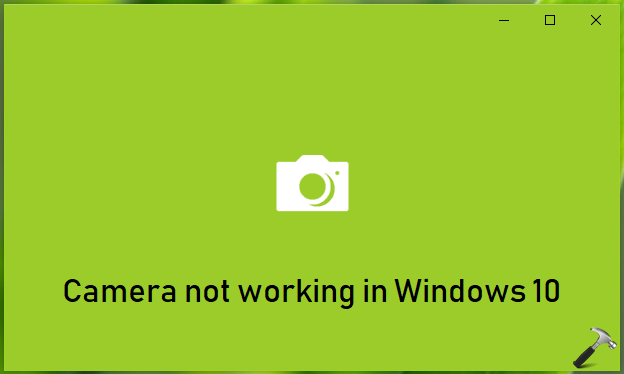 This article will help you to fix, if camera not working in Windows 10 on your device. The issue may occur due to faulty camera driver or Camera app. We all know that we’ve built-in Camera app in Windows 10, which automatically connect your imaging hardware and eliminates need of additional imaging software. You can try below mentioned suggestions to fix up issues with camera on your Windows 10 system. 1. When you detect this issue, the first thing to try is Hardware and Devices troubleshooter. 2. Next, try uninstalling third-party software on your system and run System File Checker scan or DISM commands. 4. 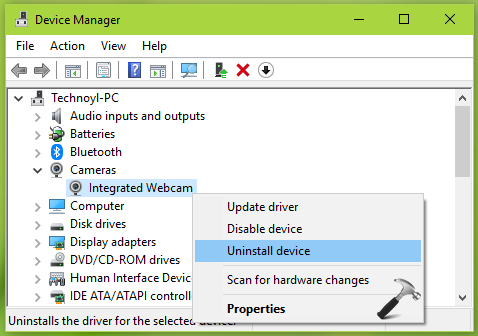 In case, if roll back didn’t helped you, try uninstalling the camera driver and let operating system detect itself. For this, open Device Manager, right click your camera device and select Uninstall device. Then click Action > Scan for hardware changes. The re-installation of camera device solves most of camera related issues in Windows. 5. See if any newer version of integrated camera driver is available from the Original Equipment Manufacturer (OEM). If the updates are available, you can try updating the camera driver to latest version and it may resolve the issue you’ve. 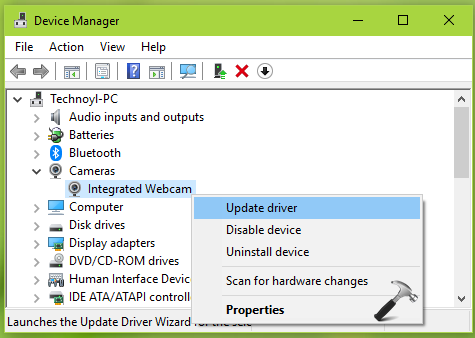 Simply right click on your camera device in Device Manager and select Update driver. Re-installation of Camera app along with earlier mentioned suggestions should fix up the issue. ^^ Alright, try installing camera software/utilities from HP. See if they works for you! I followed the instructions but when I pasted the link in Power Shell, it said in red writing access denied. Is that an indication that it could be blocked by an antivirus? ^^ Make sure you’re running Windows PowerShell as administrator. Thank you so much! This is a great resource! I ended up calling Microsoft and they walked me through uninstalling the Driver and rebooting which fixed it! ^^ Glad the issue is resolved! Although I had uninstalled the Logitech Webcam C925e driver and attempted to get the latest driver installed, after getting feedback from here on something that worked for them, I tried again. Only this time, I found the driver in two places and uninstalled them both before scanning for hardware changes and this time it worked! ^^ Glad you sorted the issue! I am not an IT expert. Microsoft made the problem so they should fix it without unloading all third party programs, yeah, right. ^^ If you’re loading third-party program, you’re taking risk and this may create the issue. What is fault from Microsoft’s end in this? In the device manager I cannot see the camera option anywhere! I cannot even find any camera driver to download! How to fix this problem?